Wondering which alphabet combo is the best for your skin? BB, CC, DD – all looks the same to me. If you are someone who’s just started to use (and understand) makeup and skin care products, I understand your confusion. All these creams are excellent for taking care of a number of skin issues and are your best friends on days you want to go minimal with your makeup. Here is a complete breakdown of BB, CC, and DD creams. BB stands for Beauty Balm. It gained popularity in Korea and became a global beauty buzzword within a short time – and that too for all good reasons. BB creams are very light creams, offering just a little more coverage than your usual tinted moisturizers. They keep your skin hydrated, contain SPF, and also offer shine control. This, however, depends on the brand and the formula you are using. 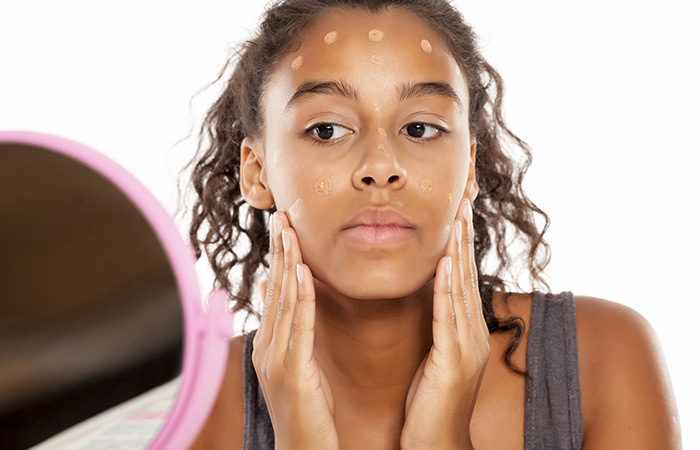 BB creams provide light to medium coverage. Compared to CC and DD creams, BB creams give the least coverage. Hence, they are most suitable for younger skin that needs just a bit of pick-me-up. It has a creamy and moisturizer-like texture. BB creams suit all skin types. You will get BB creams that are specially formulated to match the needs of specific skin types. These creams are good for young and tender skin but not for mature skin. Squeeze a pea-sized amount of BB cream on your beauty blender or brush and blend it well on your skin. You can use your fingers too, but make sure to blend well, or you will end up with harsh lines. You may leave it just like that or dab a bit of translucent powder or your daily compact over it. After applying BB cream, if you feel that you need more coverage, you may apply concealer. But if this is the case, it’s time to move from BB to CC cream (which I have discussed in the next section). If your skin demands more than just a daily pick-me-up, and if you need more than just sheer coverage, CC cream is for you. CC stands for Color Correcting. It is mostly used as a complexion corrector cream. A CC cream provides more coverage than a BB cream and hides all your facial imperfections, such as redness and dark spots. This cream is specially formulated for mature and aging skin that needs more coverage to even out the face. So, instead of using a separate color corrector with your foundation, you can use a CC cream for both color correction and coverage. You can use a CC cream alone or underneath your foundation. It offers sun protection and also brightens your complexion. It is lightweight and is absorbed quickly. CC creams are suitable for oily skin types. However, people with normal and combination skin can also use it. Once you have cleansed and moisturized your face, use a beauty blender or your fingers to draw dots on your face with your CC cream. Blend it well in a circular motion. The amount of CC cream you use depends on the coverage you need. If you want your cream to have brightening as well as anti-aging effects, DD cream is perfect for you. DD stands for Daily Defense or Dynamic Do-All. DD cream is lighter than both CC and BB creams. It is good for mature and dry skin. DD cream is designed to prime, perfect, and protect your skin – all at once. It provides the protecting properties of a BB cream and the color correcting properties of a CC cream. It has SPF, and it prevents moisture loss and evens out your skin tone. DD cream has anti-aging ingredients and focuses on strengthening the defense of your skin. The texture of a DD cream is creamy and moisturizer-like, similar to that of a BB cream. 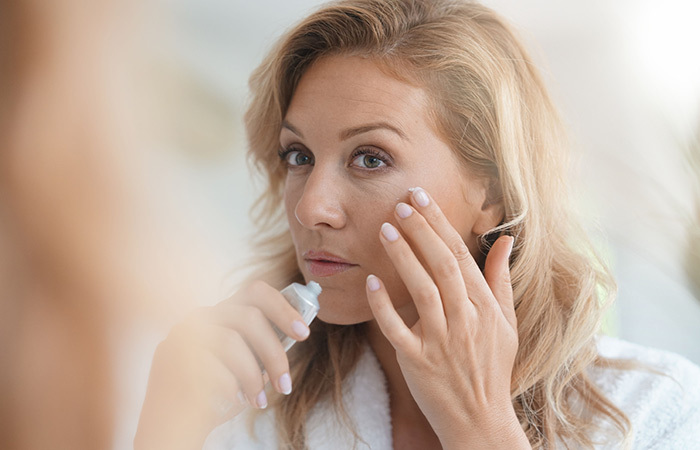 Since DD creams have anti-aging properties and help in fighting fine lines and signs of aging, they are most suitable for those who have very mature skin and are seeking an anti-aging solution. They are also ideal for dry and moderately mature skin. You can use a DD cream as a primer or your base makeup. You can also use it as a moisturizer. A light layer of DD cream is enough to hide your skin imperfections. Hope this article helped in clearing your confusion. Before you pick any of these, ask yourself what your skin needs and what your expectations from the product are. A lot of brands now offer customization in these creams to accommodate a wide range of skin issues. Find the one that suits your skin and stick to it.